Mother’s Day is a good excuse to have brunch. Creating a baked treat that is fast and simple makes brunch easy. These muffins have only a few ingredients and don’t require anything fancy except, perhaps, the mini muffin pan. But mini muffins are great because they cook faster and makes lots to share. 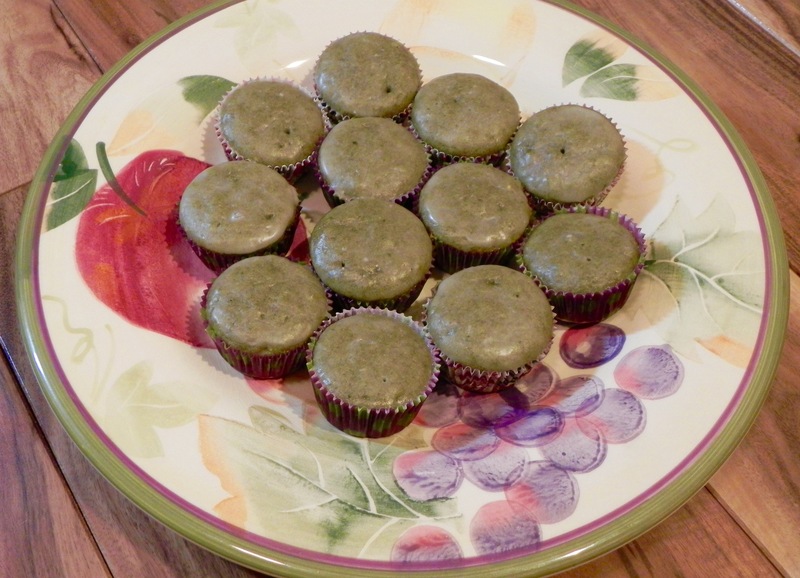 And I like saying Matcha Mini Muffins for Mom. My high altitude adaptations were few – more flour and less baking powder. But I replaced some of the white flour with whole wheat for a healthier treat. If you omit the icing the recipe has no added sugar, but I made the icing with lemon for a good taste pairing with the matcha flavor. 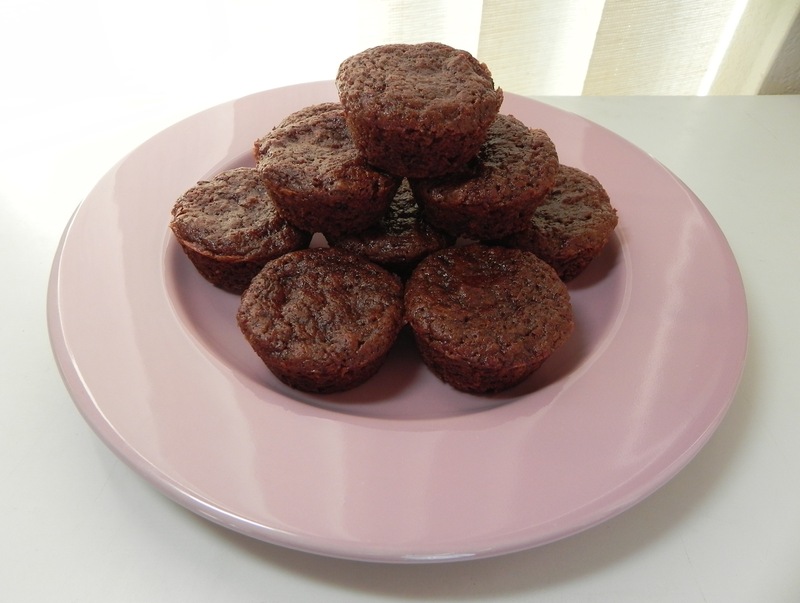 Mom is sure to love these muffins because they are not too sweet, even with a little icing. And the subtle green hue and taste from the matcha is fun if you are preparing tea. Here’s to Mom! Preheat oven to 400ºF and use cupcake liners in 24 mini muffin wells. In a bowl, whisk together flours, matcha, baking powder and salt until well combined. In another bowl, whisk together creamer, oil, and vanilla. Gradually add flour mixture, stirring until just combined. Divide batter between muffin wells; they should be ¾ full. Bake for 10-12 minutes, or until a toothpick inserted in the center of a muffin comes out clean. Remove to a wire rack to cool completely. Prepare icing by whisking together the icing ingredients in a bowl. Dip tops of cooled muffins into prepared icing, turn upright, and place back on rack while icing sets. While baking at high altitude, I discovered that added protein helps maintain texture that could be lost by the lower air pressure. The hard part with vegan baking is that many ideas for egg substitutes are carbohydrates and not proteins. Experimenting with higher protein flours adds the protein but can make a baked good dense. Tofu and yogurt can also create a more dense texture so they are best saved for fudgy items. So, what to do when you want something light and airy? The answer may be in Terry Hope Romero’s latest cookbook, Protein Ninja. 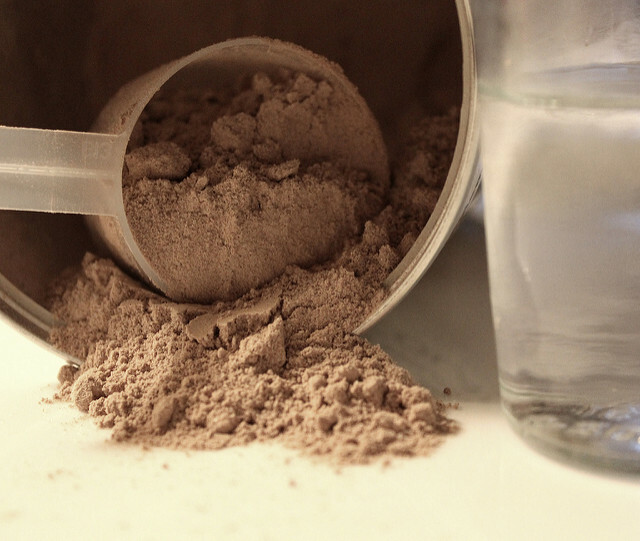 When faced with the age-old question of where a vegan gets protein, her idea was Protein Powder. No, she doesn’t want people replacing all meals with a protein shake. Instead, she adds the powder to, among other things, baked goods. When I read that the hamster in my head nearly gave himself a heart attack running on his wheel so fast. My mind is racing with ideas. I must go buy protein powder. Then on to the kitchen to experiment. Stay tuned and I may just surprise you with a healthy and decadent protein-laden baked treat.